HANOVER, MD – Ciena has named Jamie Jefferies as vice president and general manager of Europe, Middle East and Africa (EMEA). An established industry veteran, Jamie will leverage his experience in-region as well as internationally to build upon Ciena’s current success in EMEA. HANOVER, MD – To continue to achieve full throughput of applications and a high quality of experience for customers, Unitymedia is upgrading its network with flexible grid capabilities and deploying Ciena’s (NYSE: CIEN) WaveLogic Ai coherent solution. Unitymedia, the second largest cable company in Germany, is adding flexible grid capabilities and leveraging Ciena’s WaveLogic Ai solution to overcome data centre complexities and reduce operational expenses. Data security is a growing concern in today’s web-scale world, where more and more applications reside in the cloud. Businesses need the assurance that their data is secure not only at rest but also in-flight. New regulations and legislation for data protection have made securing this in-flight data a higher priority, especially for organisations such as financial service firms, healthcare and government organisations. Ciena, though its Blue Planet division, plans to offer a fully-supported commercial version of the Open Networking Operating System (ONOS) open-source software. The release of Blue Planet ONOS will make it easier for operators wanting to work with ONOS. From Ciena’s perspective, it also extends the capabilities of the Blue Planet network orchestration software into the data centre domain. 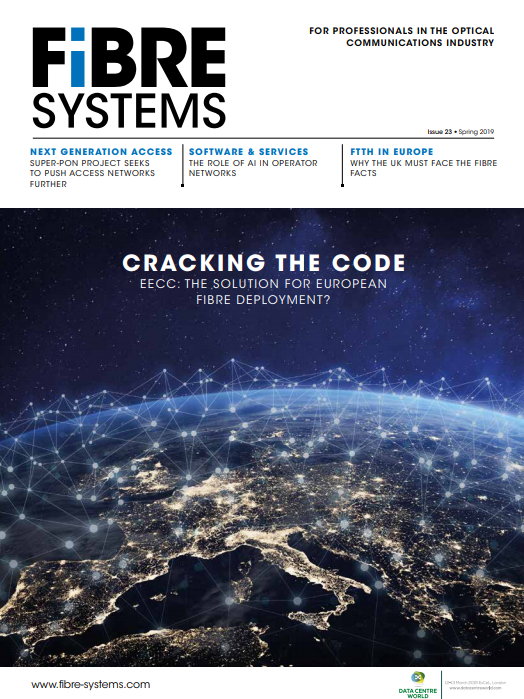 The web-scale effect isn’t confined to metro networks – it is driving network providers to invest heavily in interconnecting data centres across long distances as well as in cities, says Ciena. The vendor has responded to that need with plans to enhance the capabilities of its Waveserver data centre interconnect (DCI) platform with an expanded set of reach and capacity options.